At least 12 people, including a baby, have been killed and four others critically injured in a fire at an apartment building in the Bronx borough of New York. New York City Mayor Bill de Blasio said it was the city's “worst fire tragedy in at least a quarter of a century,” with one of the victims as young as one year old. “It is an unspeakable tragedy, and families have been torn apart,” he wrote on Twitter. Four people remain in a critical condition in hospital “fighting for their lives,” the mayor added, as he praised firefighters for saving 12 people from the blaze. 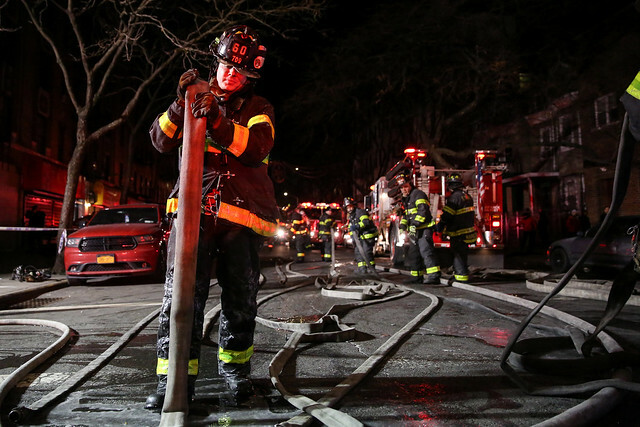 The fire broke out shortly before 7pm local time on Thursday at a five-story apartment building close to the Bronx Zoo. Fire Commissioner Daniel Nigro told reporters the blaze started on the first floor of the brick building and quickly spread upstairs. More than 160 fire officers were called to the scene. “People died on various floors of the apartment, ranging in age from 1 to over 50,” Nigro said.